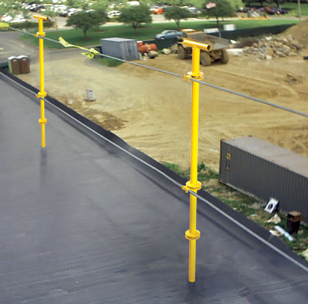 C. H. Bull Co. offers Full Turnkey Installation for Fall Protection and Fall Restraint systems representing leaders in the industry like Capital Safety DBI/Sala, Miller, Hysafe, Guardian, BlueWater Mfg. and many others that are all fully OSHA and Cal-OSHA compliant. C. H. Bull Co. does not rely on one manufacturer to fulfill your needs. One size does not fit all applications. Every application is different and through site evaluation, listening to your needs, understanding the regulations and offering the best turnkey solutions we will help you to be in compliance and keep your people safe. We want your employees to go home every night to the people who love and care about them and then be able to be back the next day to get the work done safely that needs to be done.